Mario Armstrong–much like the technology he loves–has always been an amalgamation of many different things: radio, TV & online media personality, motivational speaker, public servant and social entrepreneur. At his heart, Armstrong wants to better people’s lives by educating them to leverage technology to enhance their personal and professional lives. Armstrong translates technology for the public and businesses, for tech enthusiasts and non-tech audiences, through his radio shows, TV segments, public speaking, print and online programs. Mario covers the stories, headlines, business, issues, gadgets and news makers of the day. 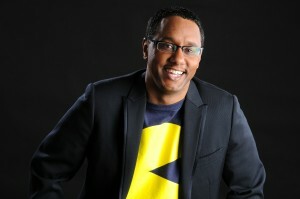 He entertains and educates audiences as to how technology impacts our society and businesses. He appears regularly on radio and TV; Mario is the Digital and Technology Commentator for HLN, CNN and NBC’s TODAY show. In addition, he has appeared on the Rachel Ray Show, Nate Berkus show, MPT, PBS and C-Span. In print, Mario recently started a quarterly column in Black Enterprise Magazine. On radio, Mario hosts the technology talk show on SiriusXM Satellite Radio and is a technology contributor for NPR’s Morning Edition and Tell Me More programs. Before his media career, Armstrong worked in the tech industry for 12+ years and was the first Chief Technology Officer in Baltimore City government for then Mayor, Martin O’Malley. Armstrong also served as the IT Director for the State of Maryland’s Tourism Department. In addition, Armstrong was one of six chosen in the United States to be a part of a Technology Delegation to meet with tech entrepreneurs in Seoul Korea to discuss new international business partnerships between the United States and South Korea. Additionally, Mario is considered a social entrepreneur as he is super passionate about influencing, engaging and educating youth to pursue STEM (Science, Technology, Engineering, Math) academics, careers and entrepreneurship. Mario worked directly with teenagers to develop and design an online youth tech social network called TechTechBoom.com. This company will morph kids from passive users of cell phones and laptops into the next generation of digital scientists, innovators and activists by increasing their interest and knowledge in STEM. Armstrong is also a co-founder of the Urban Video Game Academy–an educational non-profit program that uses the allure, interactivity and development process of video games to increase students’ interest and academic achievement in STEM. The program has been featured in USA Today, on CNN & in Newsweek magazine. His voice is featured in a fun and educational video game entitled, “SpaceStation Sim,” developed by Vision Video games for NASA. A 51-year-old man is moving back in with his parents so a homeless family can live in his house instead. Tony Tolbert’s offer is good for one full year. According to CBS, the spare bedroom in his childhood home in Los Angeles frequently went to people in need, which inspired his own version of the act. "You don't have to be Bill Gates or Warren Buffet or Oprah," Tolbert, a Harvard-educated attorney, told CBS in the video above. "We can do it wherever we are, with whatever we have, and for me, I have a home that I can make available." Tolbert had never met the recipients. He found them through Alexandria House, a shelter for women and children. Felicia Dukes, a mother of four, couldn't believe the deal when she heard it. "They had a young man that wanted to donate their house to you for a year," Dukes recalled. "And I'm looking at her, like, what? Like -- are you serious?" According to the news station, she and three of her children shared a single room at the shelter, whose rules prevented her adult son from joining them. Now they're back together. CBS reported they have all arrived at Tolbert’s house, which will remain fully furnished for the duration of their stay. In the video, Dukes tearfully expresses her gratitude. "My heart just fills up and stuff, um ... I'm just really happy," Dukes said. The story comes days after we wrote about Grace McNulty, who like Tolbert, found inspiration to help the homeless from her father. He died in August, and so Mcnulty, 10, spent Christmas Day serving full turkey dinners to homeless people, honoring his wish to alleviate their suffering during the holidays. Additionally, a barber in Salt Lake City has been helping the homeless for the past 19 years. Every Monday, he gives free haircuts to clean up their look or jumpstart a job search. 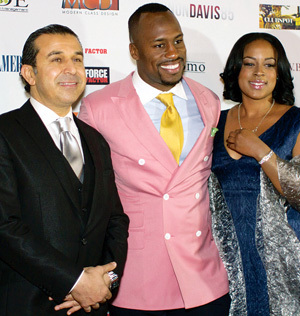 This week, San Francisco 49ers tight-end Vernon Davis opened Gallery 85 in Santana Row to an overcapacity crowd of athletes, businessmen, city officials and VIPs. Located on Olsen, a few blocks in from Winchester, the former bank space will now be a full-blown art gallery showcasing work from Davis' own collection as well as that of local artists. For the opening celebration, nearly 40 pieces eventually went up for auction, mostly paintings and a few sculptures. Davis' own works in the auction included several still-life pieces, abstract figurative works and portraits of friends, family and sports stars. Other participating artists included Bruni Sablan, Mark Gray, William Rhodes, Lorraine Lawson and others. I wouldn't quite say Davis' painting talent equals his athletic ability, but during college he majored in studio art, and he currently heads the Vernon Davis Foundation for the Arts, an effort to help disadvantaged youth realize their artistic potential via grants and good old-fashioned mentorship. That is, he's not bankrolling athletic scholarships; he's helping artists instead. Each year, a scholarship is awarded to provide tuition support for pursuing a university arts education, with this year's award going to Niyjale Cummings, originally from East Palo Alto. In the gallery, Cummings' mixed-media minisculptures of wire and found materials were on display right next to the other works. The evening was a star-studded affair; seemingly every news crew from the Bay Area was there for the red carpet, while the line for the mere mortals stretched almost all the way to Winchester. Quarterback Alex Smith showed up, along with other teammates, as well as Niners owner Jed York. The room was elbow-to-elbow for the duration. Photographers pointed their cameras and snapped shots every which direction, nonstop. Wearing a rumpled pair of Dockers, I had to audible my way through $1,000 dresses, bespoke masterpieces and wedding rings seemingly as big as golf balls. Cummings eventually took the podium, speaking along with city officials, arts leaders and Davis himself. He declared that winning the scholarship has given him a new sense of confidence, direction and self-esteem, things he never had before. "I never would have thought Mr. Vernon Davis would be a painter," said Cummings. "I never would have thought he would like my artwork. I'm nobody from East Palo Alto. Nobody knows who I am. I used to Google myself and nothing would show up." Continuing, Cummings recalled that, initially, all his friends thought he was crazy for wanting to be an artist. "I come from a family where all my relatives played football," he said. "When I started doing art, it was a new thing, and I was even doubting myself about doing it. I did it when I was younger, and nobody understood it. I did it in high school; nobody understood it. When I won the scholarship, everyone was like, 'Whoa, you can actually do something now.'" As the evening wore on, hardly anyone crammed into the space seemed to pay that much attention to the art. One piece, a vase, even went crashing to the floor, after someone bumped its pedestal. I didn't ask if it was intentional grounding. All in all, everyone appeared sincere in their applause for a worthy cause, acknowledging that the state of California must do something to get music and arts education back into elementary schools. It was great to hear a bunch of left-brain businessfolk actually applaud such a concept. In that sense, the event was inspiring. Although Santana Row isn't all that unusual, providing the same upscale shopping one can find in any major city anywhere, Gallery 85 is quite distinctive. One rarely sees a high-profile athlete who is also an artist, let alone someone with the will to financially support creative types. When I grew up, athletes did not do that. Instead, they beat up the creative types. And speaking as someone from a dysfunctional family who was probably saved from potential criminal paths by a lifelong arts and music education, I can only share everyone else's applause. 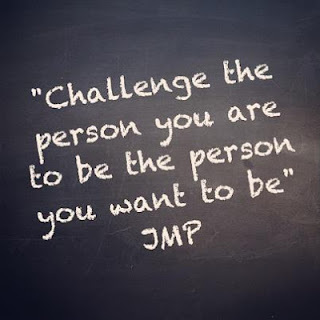 "Challenge the person you are to be the person you want to be"